Farmers will need to experiment to cope with climate change. Hundreds of thousdands of crop varieties are stored in the Norwegian Arctic. 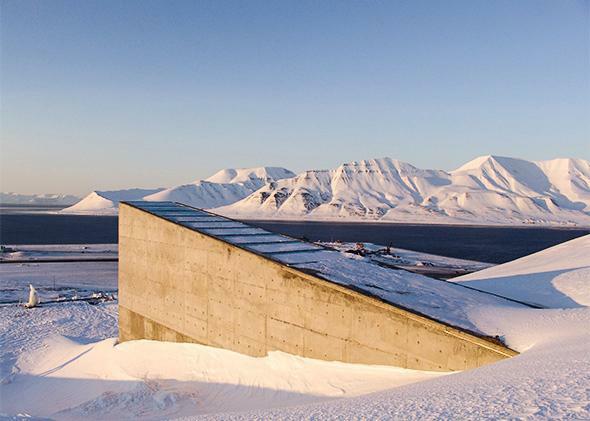 Cary Fowler helped create the world’s largest seed bank, the Svalbard Global Seed Vault, which stores more than 780,000 crop varieties in a mountain in the Norwegian Arctic. Climate change is the biggest challenge farming has ever faced, he says, and to survive it we need to learn much more about plants. I call them an insurance policy for the globe. Without crop diversity, farming isn’t going to adapt to climate change, and neither are we. It’s the biggest challenge that agriculture has faced since the Neolithic days when agriculture began. We’re going to see a change in seasonality, growing seasons that no longer align with rainfall—everything will be out of whack. If you think the recent droughts in the U.S. Midwest and California were bad, we’ve got more of this coming, and it’s going to get worse. How will these changes affect the global food supply? Climate change is going to impact people in Africa and South Asia worst. If you fast-forward 20 years, the climate they will have doesn’t even overlap with their current climate. In some places the coldest temperatures will be hotter than the hottest in the past. So you ask yourself, how adapted are today’s crops to a completely different climate? If we have the same crop varieties in the fields 20 years from now, we will see dramatic decreases in plant production, leading to famines and higher food prices for us all. Is it enough just to save seeds in seed banks? No, you also need to know what you have there. To use an analogy, it may be in the library, but we don’t yet have it card-cataloged for the kinds of traits that we will need in the future. At the moment, virtually no seed bank is geared up for screening seeds and providing good answers to farmers who need new crop varieties in order to adapt to climate change. If a new disease comes along and you need resistance, and that resistance isn’t found in the crops that are already in your field, you’ll go out of business or starve. 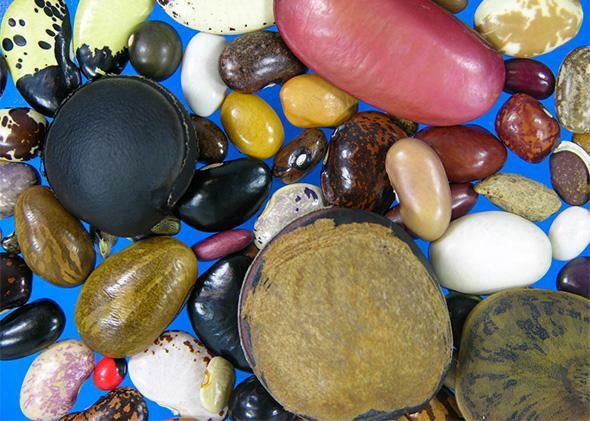 Legume diversity will increase our preparedness for climate change. What’s needed to increase our preparedness? National seed banks around the world should figure out which traits will be needed and distribute the relevant seeds. They have to get these seeds into the hands of farmers and empower them to be the breeders and developers of new traits. Underdeveloped countries especially need this because they lack big, viable commercial research sectors. The farmers will do it: They love to experiment, to try something new. You advocate gaining knowledge about wild relatives of food crops. Why is that? Take Queen Anne’s lace. If you pull it up, you will see and smell a carrot. Well, Queen Anne’s lace is one tough weed—just look around the roadsides, you can’t get rid of it. Think about the traits that plant has and how valuable those will be in a climate-changing world. There are many hundreds of wild relatives of domesticated crops, and we want to bring that into the gene pool, that’s really important. But we’re not there yet.